Waterways carve their routes trough the land to reflect the paths the Aether streams cut trough the clouds. 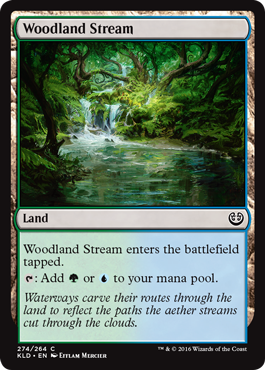 "Woodlands Stream" card I painted for Magic : the Gathering. This one is part of the new Kaladesh set, fun project !